Trials Rising is the continuation of the popular motorbike platforming series that has become a staple of Ubisoft’s RedLynx studio. It’s always been an example of gameplay that is easy to pick up, but difficult to master. It’s a simple objective: take your rider throughout a track that will test your reflexes. Complete the track as fast as possible with as few as many faults as possible. Trials Rising is an example of a series moving forward with very bare innovations and for the most part, that is completely fine. When compared to Trials Fusion gameplay, Rising actually offers less. In Fusion, whenever your rider was flying through the air, you could pull off tricks that at the end of the day, were completely pointless to the game overall. I am a fan of taking the tricks out of Trials. The big draw to this series has always been the tracks and balancing your character through them. Redlynx going all in on that idea is huge for Rising’s success. As stated earlier, the controls for Trials games have always been very simple. Right Trigger is the acceleration, Left Trigger brakes, and the Left Thumbstick balances your character. There is no need to include any other superfluous buttons (like for tricks). Trials has never been a walk in the park though. As the games progress, the timing and reflexes needed to pass through each track ramps up. Rising is no different. The beginning stages of the game are great for getting the feel and atmosphere of the many locations down. They are great for getting your bearings on how the physics of the game work. 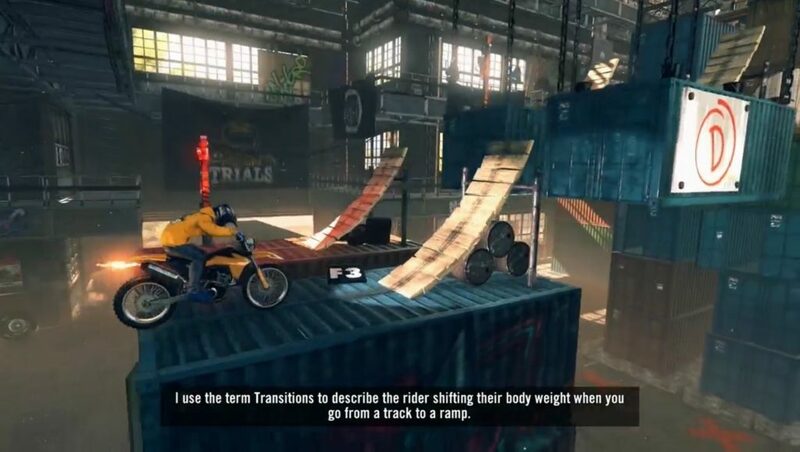 Probably the greatest inclusion in Trials Rising is the tutorial section of the game called Trials University. In the past, this has been a YouTube series where a guy explains to the viewer how best to progress throughout the Trials games. 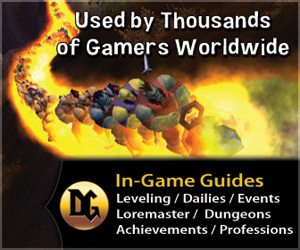 In this section of the game, the course you are attempting is first explained in video form. Afterward, you are given a simple track dedicated to the one section you are trying to better yourself at. As you are practicing, there is an AI rider beside you showing you how to go about progressing correctly, and every controller input you put towards your character is displayed for you. You can take as much time as you need to get through each course. Trials University is such a huge inclusion for anyone who has not necessarily understood Trials in the past. The beginning stages have always been simple enough, but unless you are a Trials God, the harder stages are just practices in futility and aggravation. Trials University is an excellent attempt to help the people that want to get better at the series, and I am in full support of it coming back in the future. In the races, you face off against three ghost riders that replicate gold, silver, and bronze medals. While I thought it was nice seeing a physical representation of the medal levels of time trials, however, it did not feel like a thing I absolutely needed for this game. It does give me a greater sense of competition in every race, but racing against random people does not motivate me. If they had gone deeper into your times versus your friends, I would have been much more motivated. Receiving random updates on the menu saying a friend has beat one of my times is cool but racing against them at any time would have been even better. 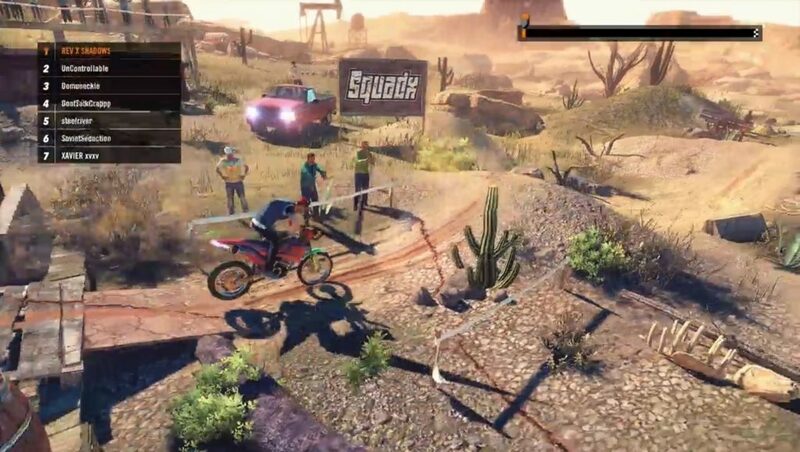 Trials Rising is not necessarily a gorgeous looking game, but it looks good enough. 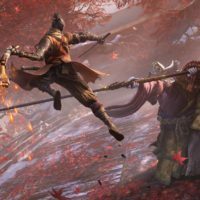 I know that is not much of a ringing endorsement, but the visuals of a simple game like this are not what is going to drive the franchise moving forward. 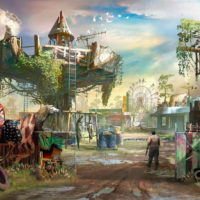 In Trials Fusion, the aesthetic was largely focused on a futuristic vibe. This time, the focus is on the large world and landmarks throughout the earth. This time, Trials seems to be like a professional sport in the in-game world. You start as a small-time rider in the United States, and as you beat more tracks and level up, you get to travel throughout the world. The tracks are unique to each other and have a large variety that the series is well known for. In Trials Fusion, Redlynx started dabbling in customizing your rider and bike. It was very barebones, however, with only a few options for each section and nothing too interesting. They have tried to better that system by including loot crates that unlock a variety of different cosmetic options, but largely I would rather do without this. Loot crates have largely been a contentious point for gamers in the past, and the good news here is the crates have no impact on the gameplay overall. Everything included is cosmetic for either your rider’s suit, the make-up for your different bikes, stickers, and a few emotes for pre and post-race. While it is nice that everything is cosmetic, all the loot crate contents I have seen so far are largely forgettable. It got to a point where I got so tired of receiving uninteresting items or duplicates that I chose to stop opening my crates completely. At the point, I have about 20 unopened crates with no interest in opening them ever. Maybe it is the side of me that is not very creative, but I do not care about using 200 stickers on my character. Especially when those stickers are basic shapes most of the time, also, if I open another crate with two duplicates of the same pants I have already received ten other times, I will freak out. On the audio side of things, the soundtrack is filled with a bunch of Punk licensed music. While it was nice recognizing a couple of songs that would randomly appear when I started a track, I think more original music would fit Trials Rising better. Overall, the song selection seems pretty shallow for such a diverse landscape of levels. Making its triumphant return in Trials Rising is the track central mode which includes its track editor. 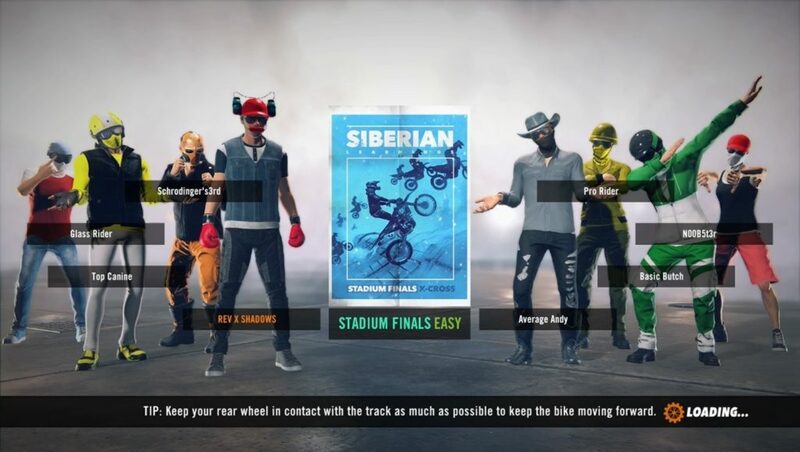 Ever since the release of Trials Evolution, the track editor has been what has given these games their long legs of life. The community surrounding the franchise is one of the most creative groups of people, and they have always made amazing tracks for the public to play. I have always loved searching the track central menus for the fun, off-the-wall tracks on there. 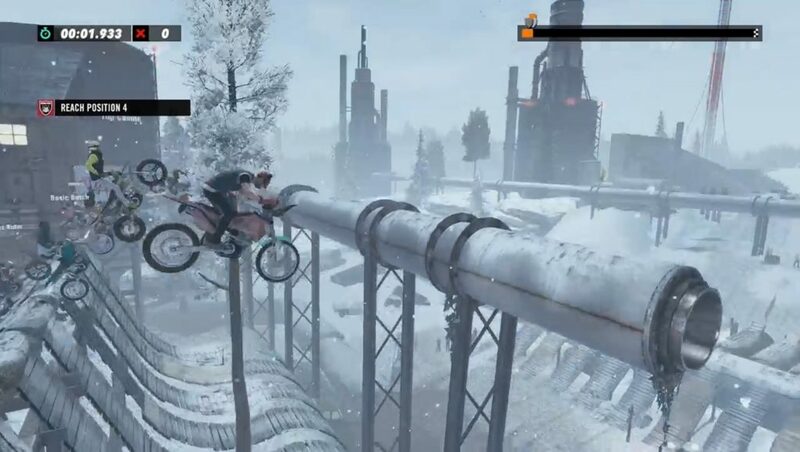 As time goes by, even more great tracks will appear on there, and if it is anything like previous Trials games, some will even not revolve around racing. I am not that creative of a person. I cannot create levels or tracks with any interesting or new ideas, but the very fact that Trials always allows its fans to search other user’s works of art is such an awesome inclusion. The very best creators who put the most amount of time and thought into their product sometimes can make better tracks than Redlynx. If you ever pick up this game, I wholeheartedly recommend checking out track central. 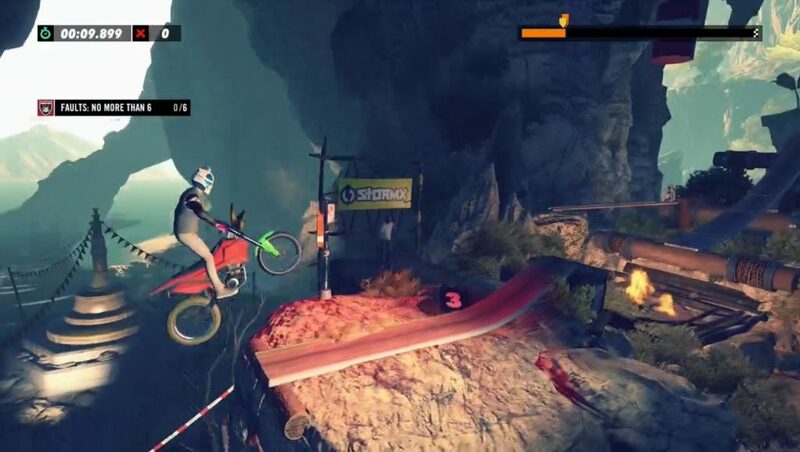 Trials Rising is an expected continuation of the Trials franchise. Aside from the Trials University tutorial mode, there is not anything groundbreakingly new here. The single player tracks are new, but overall par for the course for what we have come to expect from the series. I did not even mention the sponsorships you retrieve as you progress, and that’s because I felt it was a pointless contribution. It helps you level up faster and unlock more tracks, but from a gameplay standing, there is no motivation to do all of the challenges. It is not engaging gameplay and is just there. Track Central is once again the best section of the game and will be what keeps the game alive going forward. 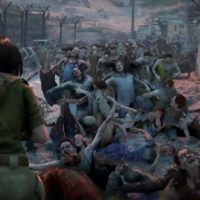 Not any DLC packs that may be planned for the game going forward. Overall, if you are a fan of the Trials franchise, Rising is a fun game. I don’t think there is enough here to proclaim it the best in the series or anything, but it is an enjoyable game that is only $20 at its base price. It is 100% worth that price and is an overall great experience.